And special thanks to Mads Odgaard and Andreas Døring from Kingfish Dive & Travel for arranging and running a fantastic trip! 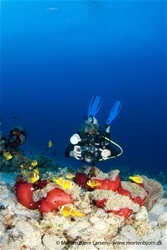 The German dive magazine UNTERWASSER has a section about favorite dive sites in Europe. I'm honoured that they asked me. I’m very glad to have this little wreck encyclopedia from a local wreck dive published in the Danish dive magazine Sportsdykkeren. Great surprise today when I got the new edition of the Swedish dive magazine Sportsdykaren. My first non-Danish cover shot. 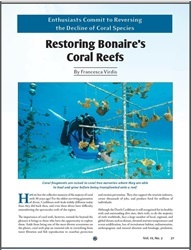 I’m delighted to have contributed with images to Francesca Virdis article in Quest magazine, about the great work she and the rest of the Coral Restoration Foundation is doing for healthier reefs around Bonaire! A little Caribbean weather just arrived in Copenhagen. 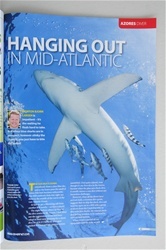 I’m delighted to have my Bonaire article (text+images - 4 pages) published in the British dive magazine DIVER this month. A folder with images is on the way. 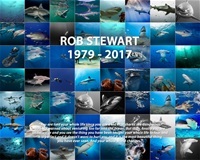 Honouring the late Rob Stewart with a wall of sharks at Wetpixel 🦈 Well done Adam Hanlon I'm pleased to be part of it! 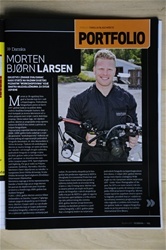 I'm very pleased to have two articles in the new edition of the Norwegian dive magazine DYKKING. The Critter Shootout (text + two images) and my feature from the Azores (text & all images) Thanks a lot Christian Skauge! Great layout! 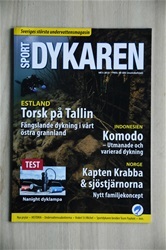 The Danish dive magazine Sportsdykkeren has started a new portfolio series. I'm honored to be the starter! 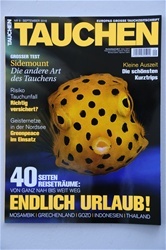 The German dive magazine Tauchen has a very nice feature about the Critter Shootout in the September issue. I'm happy to have contributed with two images! The Critter Shootout in print! 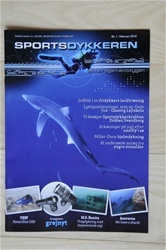 It is very nice to see my Critter Shootout article in the Danish dive magazine Sportsdykkeren (5 pages). Thanks a lot for contributing with images, Greg Sherman, Richard Charlton, Johan Bjørklund, Atle Ove Martinussen, Rune Edvin Haldorsen, Nick More, Bjørnar Nygård, Wayne Mac Williams and Luc Rooman. I'm very glad to see my Azores feature (text & images) in the British dive magazine: DIVER. I'm thrilled to have the cover shot on the latest issue of the Danish dive magazine, Sportsdykkeren, followed by my four page article (text & photos) about diving in the Azores. Super cool to have my portfolio in the new edition of the Croatian dive magazine ScubaLife! When the British dive magazine DIVER - Britain's Best-Selling Diving Magazine asked me (and I'm chuffed they did) about my favorite liveaboard for their liveaboard speciel in the July edition, I chose Hande in the Mediterranean. Wow! 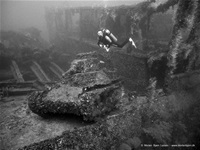 I have a seven page article about Corsica in the British dive magazine SCUBA this month. Thanks to Simon Rogerson and his team for a very nice layout! I'm honored to have been asked to be Photographer of the week at DivePhotoGuide - Underwater Photography & Video! Many thanks to the editors Lia Barrett, Joseph Tepper & the rest of the DPG team! My image from the Under Water Photographer of the year competition is displayed with the other winning images at the National Marine Aquarium in Plymouth, England. This is a prestigious placement for the competition as they will be seen by over 200,000 people in the next 12 months. Wow! 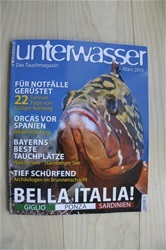 I'm very happy that my underwater photos accompanied Alexander Kassler's text and topside photos in the German dive magazine Unterwasser's Italy theme in the March issue. March 2015 - The winning images from the international underwater photo competition, Underwater Photographer of the Year, are here presented on the website of the American newspaper The Washington Post. 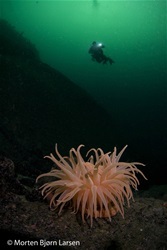 February 2015 - Made it to the Guardian's website :-) The winning images from the international underwater photo competition, Underwater Photographer of the Year, are here presented on the website of the British newspapaer The Guardian. I'm humble, proud and very happy that my photo "Bottoms up" placed third in the Wide Angle International category in the Under Water Photographer of the year competition! 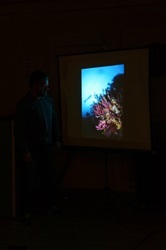 Yesterday I was in London to have my image presented on stage at the London International Dive Show. 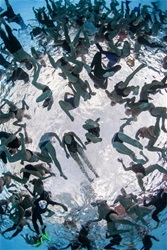 The competition received 2500 entries from under water photographers from 40 countries around the world. "In every photography competition there is usually one unique image that stands out from the crowd, and this is it. " In truth, the initially positive effect of such an eye-catching image can fade when viewed more. This shot, however, keeps growing." 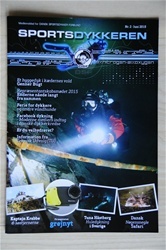 February 2015 - It was nice to find the new edition of the Norwegian dive magazine DYKKING in the mailbox today. I have a 7 page article about the concept Captain Crab and the Seastars in Gulen, Norway, where kindergarden teachers play with the children while their parents can go diving together. See images in the Captain Crab folder. 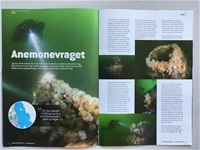 December 2014 - I'm glad to have contributed with 5 underwater photos in Johanna Strømgrens article in the Swedish dive magazine Sportdykaren, about the Captain Crab and the Seastars event in Gulen - Norway. It is my first publication in Sportdykaren so I'm really happy about it! I will wait a while with making a folder with photos from the event, as my own article (text & photos) will be in the Norwegian dive magazine Dykking, and the Danish dive magazine Sportsdykkeren in the first months of 2015. October 2014 - I'm very happy to have contribited with a photo (Stig Åvall Severinsen swimming backwards over corals), in the non profit Project Third World magazine! September 2014 - I'm pleased to have the cover shot and a 5 page article from Corsica in the new edition of the Danish Dive Magazine Sportsdykkeren! July 2014 - On assignment in Gulen-Norway with my wife and daughter making an article about a new family concept that Gulen Dive Center is starting. 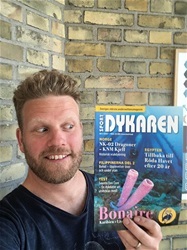 January 2014 - I was pleased to be invited by the Danish Sports Diving Federations underwater-photo-section to speak about the Nudibranch Safari in Gulen - Norway and how I made the article that came out of it. I also told about my participation in last year’s Underwater Photo Contest MIMA in Costa Brava - Spain ! November 2013 - Article about Stig Åvall Severinsens incredible new world record at Red Bull adventure.com including one of my photos of Stig in the Red Sea. October 2013 - Nice article by Henrik Blume Pontoppidan in Sportsdykkeren (Danish Dive Mag) about this years MIMA Under Water Festival. Illustrated with my photos from the competition. 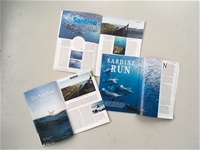 September 2013 - I'm very happy to have my Sardinia article (four pages) in the British dive magazine DIVER!!! See photos in the Sardinia folder. June 2013 - I've just returned from the underwater photo competition MIMA in Spain. I didn't finnish in the top, but I had heaps of fun and learned a lot!!! See the competition photos and a few more in the MIMA folder. 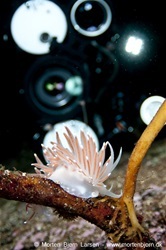 January 2013 - I'm happy to have my Nudibranch Safari article in the British dive magazine DIVER! 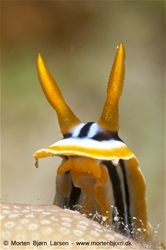 You can see the photos in the Nudibranch Safari folder. Read about it and see photos in the RSPE II folder. November 2012 - Photos in X-RAY MAG. 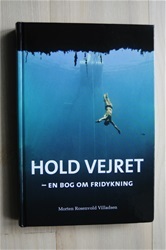 In the article about the 4x WC in freediving Stig Severinsen. October 2012 - Really happy to have a photo amongst the 101 chosen photos to celebrate the 1st anniversary of the macro photographers group. July 2012 - I got in the 100 LIKES Hall of Fame at Macro Photographers - cool! 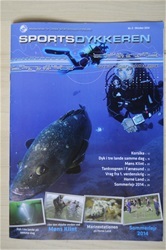 June 2012 - The third coastal encyclopedia (local Danish divesites) in a row in the Scandinavian Dive Magazine DYK. 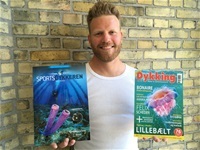 June 2012 - Two articles in the Norwegian Dive Magazine Dykking. One from Lanzarote (which I made for DYK last year), and the Nudibranch Safari article I made for Dykking in March. May 2012 - Got a photo in top 10 at Macro photographers last month - very nice! 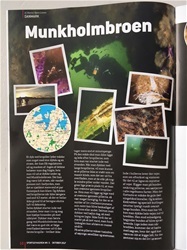 May 2012 - In the scandinavian dive magazine DYKs series of local Danish divesites (Coastal encyclopedia), they have used one I've made from Klintebjerget in the May edition. 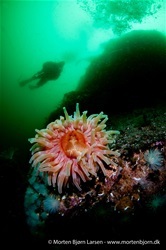 April 2012 - The scandinavian dive magazine DYK has again launched their series of local Danish dive sites. And started out with one I made about diving in the lake Furesoen. 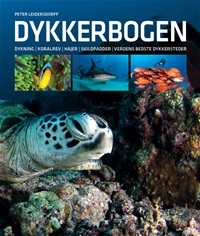 October 2011 - Article in the Norwegian dive magazine DYKKING about the uw-photo course I did for a group of beginners in the Red Sea back in November 2009. See the UW-photo course folder. October 2011 - Workshop for the freelancers of DYK magazine in Lysekil - Sweden. 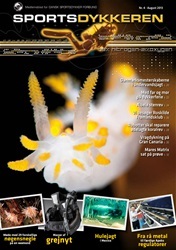 May/June 2011 - On assignment in Lanzarote for the Scandinavien Dive magazine DYK. 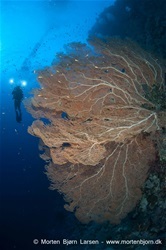 June 2011 - Article in The Scandinavian Dive magazine DYK about the diving in Malapascua, the Philippines. 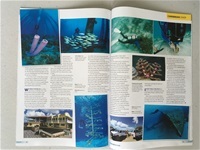 May 2011 - Article in the Scandinavian dive magazine DYK about the uw-photo course I did for a group of beginners in the Red Sea back in November 2009. April 2011 - I was with Danish Nikon ambassador Casper Tybjerg on a liveaboard in the Red Sea to teach a group of nature photographers about uw-photography. March 2011 - I did a theory and a pool lection on flash techniques in Kingklub (dive club in Kingfish). 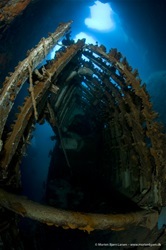 August 2010 - Article about the diving at Alghero in Sardinia published in the Scandinavian dive magazine DYK. 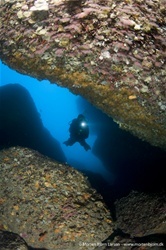 May 2010 - I was on assignment for the Scandinavian dive magazine DYK checking out the diving near Alghero in Sardinia. 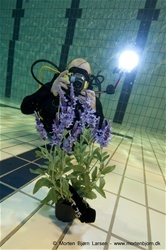 April 2010 - This photo that I took at Stig Åvall Severinsen's Guinness World Record breath hold attempt in the shark tank at Kattegatcentret was selected amongst photos of the week at Assosiated Press. It was printed in South Africa, Canada, Brazil, Germany, Denmark and a string of other newspapers around the world. 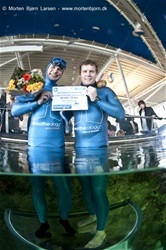 April 2010 - The four time World Champion, Stig Åvall Severinsen, asked me to be uw-photographer at his Guinness World Record breath hold attempt in the shark tank at Kattegatcentret. 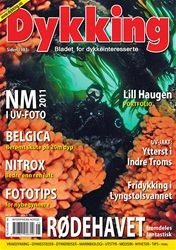 February 2010 - My portfolio was in the Scandinavian dive magazine DYKs February issue. November 2009 - I was invited by Rasmus Dysted from Kingfish Dive & Travel to assist him on a uw-photo course in the Red Sea for a group of beginners. 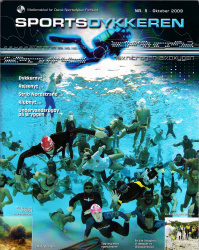 October 2009 - I'm pleased to say that the Danish Sportsdiving Federation has chosen one of my group photos from the Freediving WC-09 as cover shot for their Oct/Nov Issue. October 2009 - The scandinavian dive magazine: DYK also chose one of my photos from the freediving WC - 09 as cover shot for their October Issue. February 2009 - I did an assignment for the Danish TV station DR 1. They wanted some still photos to promote the program Ha' det godt.